Product Description (provided): The Savvycents wallet is not only functional but also fashionable. It contains everything you need to organize your monthly or weekly budget using a cash system. With an accordion style file system inside the wallet you can separate money, coupons, receipts or store discount cards by categories. 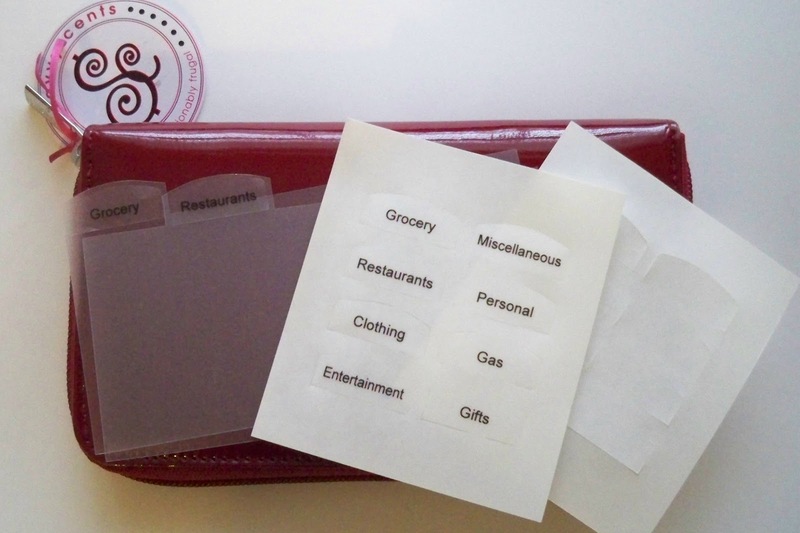 Your wallet comes with file cards where you can label each category with our pre-printed labels. There are also blank labels where you can customize your wallet based on your personal categories. You no longer have to carry envelopes or zip lock bags to separate your money and coupons. Your change will fit nicely in a coin pocket located on the backside of the wallet. It also has 6 pockets for debit cards and store discount cards. On the opposite side there is a place for your driver’s license and a place for your checkbook. My Take on the product: The wallet is called SavvyCents. It is set up to help those who shop with a cash system. Do you know what that means? It is where you allow yourself so much cash to purchase groceries, gifts, and more as well as cash for your entertainment, restaurants meals,etc. I personally have never done this but have always admired those who use this system. This is a great way to stick 100% to a set budget. This system helps prevent overspending and the use of credit cards. I do have cash and gift cards that I keep for certain purchases. This wallet allows me to keep those items in their designated file in my wallet. I use the other slots for coupons that I know I need to use quickly. I like to pull out my coupons to go shopping but this organization system allows me to carry around the extra ones for when the item returns to the store or I find a store that carries that particular item. This would make a great gift for a coupon clipper, too! To enter: Leave a comment telling me how you try and save money. Do you use a system like this? Leave your email address with this entry. 1) Follow my blog via Goggle Friend Connect, Facebook, Networked blogs, RSS Feed or Twitter. Get 1 entry per follow. Leave separate comments on how you are following me. 2) Follow SavvyCents on Facebook and or Twitter. Get 2 entries for each follow. Leave separate entries. 3) Enter any of my other giveaways or post comments on my blog post. 2 entries each and unlimited. Leave separate comments for each on you do. 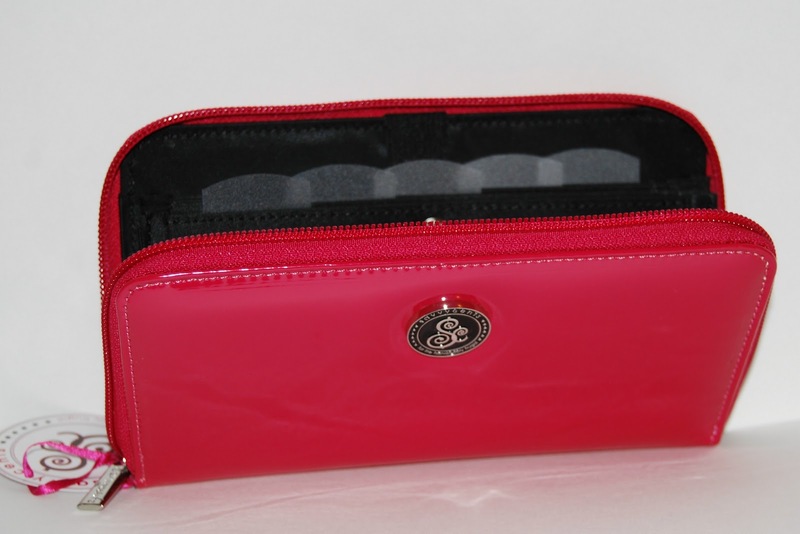 4)Tweet "Get Savvy with the new Savvycents Wallet Organizer! This Giveaway will save your cents! " I am a big coupon clipper and try to never go out without my organized folder of coupons. You never know when you'll find a deal that can be even better with a coupon! I try to save money buying clipping coupons and purchases items that are on sell. I use a system sorta like this. I save money by following a budget I've worked up on an Excel spreadsheet and by tracking every bit of money we spend each month, so my system isn't quite like this one. Thanks so much for the giveaway! Get Savvy with the new Savvycents Wallet Organizer! This Giveaway will save your cents! I would love to win this! It would be perfect to put in my purse for all of my (travel) coupons! additional entry for holiday hop.. I love saving money by using coupons matched up with sales, having a cash-only system, and cutting out unnecessary expenses (like junk food)! I try and use a lot of coupons when shopping and watch for sales to stock up. Get the Nasties out of your mouth! Ovaltine vs other drinks and a HOT recipe! Shutterfly rocks online greeting cards! Counter stools and CSN Stores Giveaway!